Use the discount code CATS18 for 25% off. Related article: "From Watching to Participating: Kate Bredeson and Lars Jan Discuss 1968 and Jan's Stage Production of Joan Didion's 'The White Album'"
Los Angeles Review of Books. August 16, 2018. 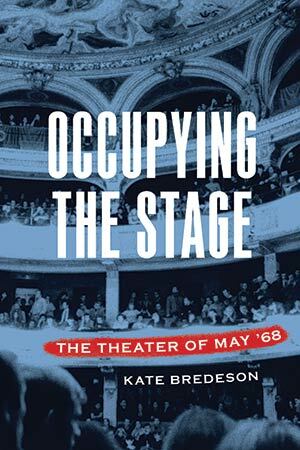 "Bredeson’s book recalls the power of embodied protest and the lived potential of imagination by refusing boundaries between theatre and activism. Passionately argued, richly detailed, and exhaustively researched, Occupying the Stage gives us hope again, for theatre and for society, by memorializing the innovations and utopian promise of the past. —Jill Dolan, Princeton University, author of Utopia in Performance: Finding Hope at the Theatre. "Bredeson provides multiple points of entry into her story, and to an impressive degree. As a scholar of French cinema and militant video of the same period, I found myself learning on diverse fronts, ranging from specific theater history to information regarding cultural policy and cultural politics that filmmakers and film actors also faced. The book is written simultaneously for the layperson and a fellow expert, almost magically so. Bredeson has accomplished an important feat in 1968 scholarship."